Sony is undoubtedly a successful brand that’s providing us high-quality tech stuff for years. But as a consumer when you decide to buy anything new, and you get bombarded with ample of options, a legit comparison helps you out. This is a comparison between the latest headphones – Sony XB950B1 and Sony MDRXB950BT/B. It will help you to have a say on the right choice. So, before you start getting paranoid about your current decision, let’s start it. Looks and the quality of the material matter a lot in case of headphones. 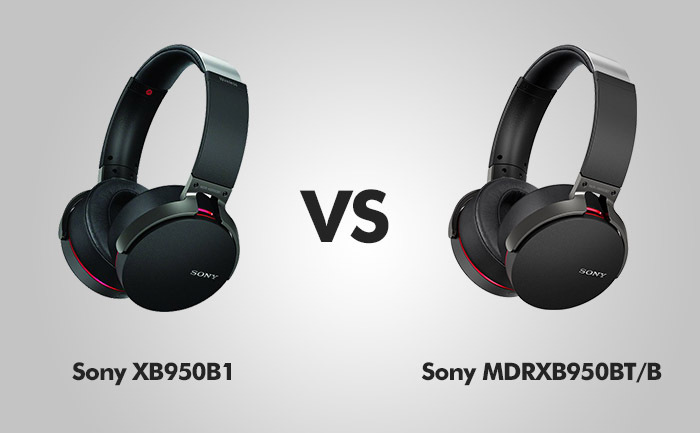 For the models Sony XB950B1& MDRXB950BT/B, both look similar at a glance. Also, you don’t need to fight for your color taste. Both are launched in three colors, i.e. black, blue and red, and good to know, three colors are available for sale. In case you want to show off the brand name, in both the products, the logo of Sony places in exact position. Providing the lightweight that it can set well with comfort in your head shape, both the headsets are made of plastic. For durability and long-time using, both headphones come with leather ear cups. Undoubtedly both the products are compact and carry the smart look. The major comfort of using Sony XB950B1 & MDRXB950BT/B is that both are wireless speakers and catch an excellent connection with your device. Both the products offer you a wired connectivity too, that can be plugged into the left speaker. The drive size for these speakers is 40mm, which is pretty good. Weights are same for these two headphones, i.e. 280 grams. The Sony XB950B1 provides the high-quality wireless audio with Bluetooth and NFC, whereas Sony MDRXB950BT/B comes with high-quality wireless audio with AAC and apt-X support Bluetooth technology. Sony MDRXB950BT/B gives you the 40 MM driver for wide frequency response. In case of XB950B1, it has a lesser sound frequency than MDRXB950BT/B. We recommend going with a better audio frequency headset to get the richer experience. Both the headphones come with leather ear comfort. 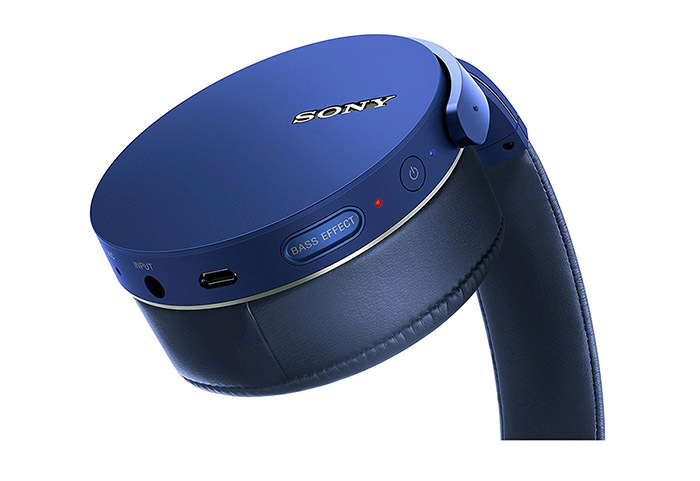 But Sony MDRXB950BT/B makes it a bit upgraded with its sophisticated swivel design. Such specific designing for ear cups is not built in XB950B1. Any of these two headphones are microphone enabled, so easy to take calls either you are wired, or in Bluetooth mode. Sony XB950B1 brings you “Extra Bass Over-Ear Premium” system. This technology lets the user experience the best level of audio quality. It has microphone facility for calling. In XB950B1, you get a control over the audio bass and other audio optimization tools. For better UX, it has high frequency and great speakers, proud to say, it feels premium to listen. For a better exploration of the audio quality, you have a great option to control the sound settings with “Sony Headphones Connect App”. Be very straight to review, this app worth using with this headset. It seems astonishingly cool to enjoy. In case of Sony MDRXB950BT/B, if you just believe in big budgets, then comparing the sound quality for MDRXB950BT/B with XB950B1 may not make you feel legit. But as a fact, Sony MDRXB950BT/B is giving you all the facilities that you can demand at this price. The MDRXB950BT/B comes with EBOEP (Extra Bass Over-Ear Premium), exactly what XB950B1 is offering. While testing its sound quality with full volume, it was same as XB950B1, even the frequency power was better. It has an inbuilt microphone and Bluetooth audio streaming, with AAC and apt-X support technology. This headset also offers you the “Electronic Bass Boost Circuitry” that prominently helps the amplifier, improving audio reproduction. It genuinely enhances the added bass capacity. This headphone also allows you to customize the audio with different parameters. Therefore, in the audio quality, we see no drastic changes. But, Sony MDRXB950BT/B doesn’t give you the optimum customization of audio power with the Sony Headphones Connect app. We won’t say, it is a big-time loss, but, this facility in XB950B1 really makes it special. Both the products have wired as well as Bluetooth connectivity, although the interface for both is different. Sony XB950B1 stands with the high-quality wireless audio with Bluetooth and NFC system. Whereas, Sony MDRXB950BT/B comes with Bluetooth audio streaming powered by AAC and apt-X support. It has the electronic Bass Boost circuitry for added bass emphasis. To emphasize on the XB950B1, the NFC Bluetooth connection is pretty much in use these days. Maximum of the Bluetooth woofers in the market use the NFC Bluetooth technology. In case of AAC and apt-X support, it also gives a thrilling experience for playing long-time music and covers a better distance too. A better Bluetooth connectivity can also bring a change in the audio quality; now it’s a matter of taste that which one your ear praises. We would say, both are efficient. The battery life for these two products stands with a straight difference. The Sony XB950B1 serves you a battery life up to 18 hours in one full charge. Whereas, Sony MDRXB950BT/B has 2 hours more standby power with the Bluetooth connectivity. Many of the readers may this that the wired connection can charge the battery! Well No! They give you a different USB for that. PROS: Premium Wireless audio with Bluetooth and NFC / Accessible to Sony Headphones Connect app for better audio optimization / Broad frequency audio / Microphone facility / Foldable / Wired + Bluetooth (40mm Drive) / Extra Bass Over-Ear Premium. PROS: 20 hours battery backup / Microphone / Foldable / Swivel designed leather ear cups for portability / Wired + Bluetooth (40mm Drive) / Extra Bass Over-Ear Premium. CONS: 18 hours of battery backup / Weight is more comparable to the price / The frequency would have been better. CONS: Not Accessible to Sony Headphones Connect app for better audio optimization / The audio customization capacity is lesser. The Sony XB950B1 has a huge difference in price with Sony MDRXB950BT/B. Since no major issues have been found to any of these headphones, customers can go with anyone as per their choice. But for people who are not highly music enthusiast and don’t want to explore the high quality of audio customization, we would say that the Sony MDRXB950BT/B is for them. If you want to experiment with the audio quality, then Sony XB950B1 is perfect for you.